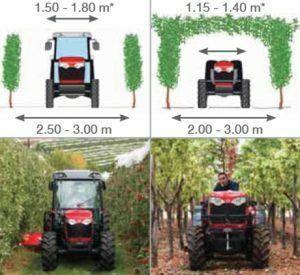 Vineyard (V) – from 1.0m width, strategically designed to work in traditional narrow vineyards, with 1.8m – 2.0m spacings between the vines. 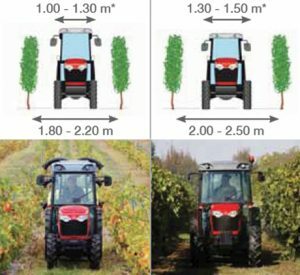 Special (S) – from 1.3m width, built for more open vineyards, with 2.0m to 2.2m row spacings. Features a much larger cab and enhanced operator comfort.